Zorba: "Am I not a man? And is not a man stupid? I’m a man. So I married. Wife, children, house, everything. The full catastrophe." When I first saw the movie Zorba the Greek I was 13 years old. While I only now have the vaguest recollections of the movie itself, this marriage quote burned in my mind so deeply that I still remember it more than 40 years later. It was nonetheless only some thirty years on that I understood the full significance of Zorba’s response. It is the fate of men to marry, to build and to be profligate. It is written from the start. In doing so, however, there is a lot that has to be given up in terms of one’s freedom and self-realization. This is the disaster. It was of this impending fate that Zorba attempted to warn the naïve young Englishman. 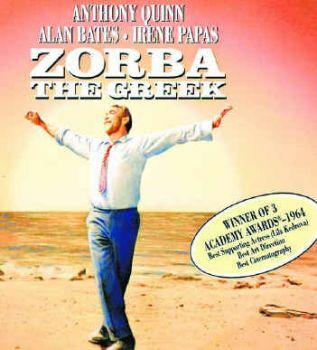 I wish that I had had a Zorba in my life. My marriage, that I entered into with no clear concept of why, lasted nonetheless more than 25 years, but I finally mustered the courage to put an end to it when I finally understood that while family is part of living it is not the end of life. Join in and write your own page! It's easy to do. How? Simply click here to return to Favorite Marriage Quotes.